Lecce is often nicknamed the Florence of the South owing to its large amount of beautiful historical buildings and its location in the “Dog Leg” of Italy. This city is tucked away in the southernmost regions of Italy directly opposite Albania on the Adriatic Sea and has a current population of approximately 94,000. Lecce Stone is one of the city’s major exports and indeed this stone has been used to create most of the cities monuments due to its soft and workable nature. Lecce has an extensive history and has been inhabited since the times of Emperor Hadrian and the Roman Empire. In subsequent history, the city was conquered by a myriad of empires including the Saracens, Lombards, Slavs and Ostrogoths. Today Lecce is a popular tourist destination and is seeing a surge in popularity as people recognize its fantastic potential. Lecce is renowned for its beautiful historical structures such as the Basilica di Santa Croce, the Porta Napoli and the Duomo. 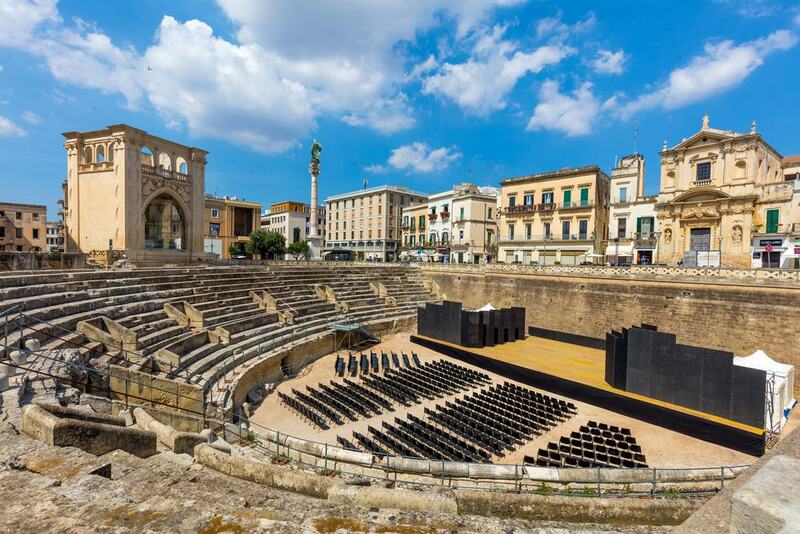 Furthermore, Lecce has a favourable location and is within a stone’s throw of some charming and interesting coastal destinations such as Gallipoli. If you are looking for something different, and wish to experience a less well-known part of Italy, Lecce and Apulia region is an amazing place to visit. 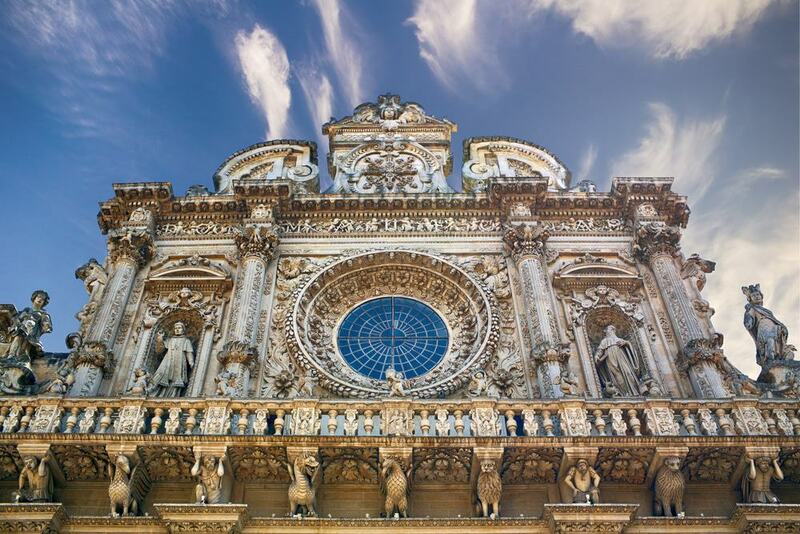 This is one of the most beautiful churches in Lecce and is renowned for its amazing architecture and stunning Baroque façade. 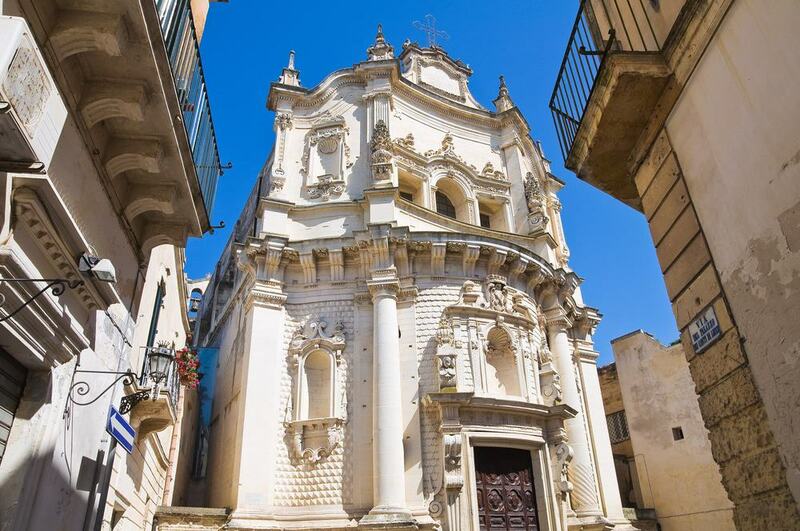 Created in the 17th century, this church is created from the unique Lecce stone that gives the structure its light cream colouration. The front façade is truly breath-taking and the amount of decoration and artwork is quite astounding. The walls are packed full of intricate sculptures, gorgeous rose windows and interesting stone statues. The interior in contrast is not as opulent but still features some beautiful stonework and religious decoration. 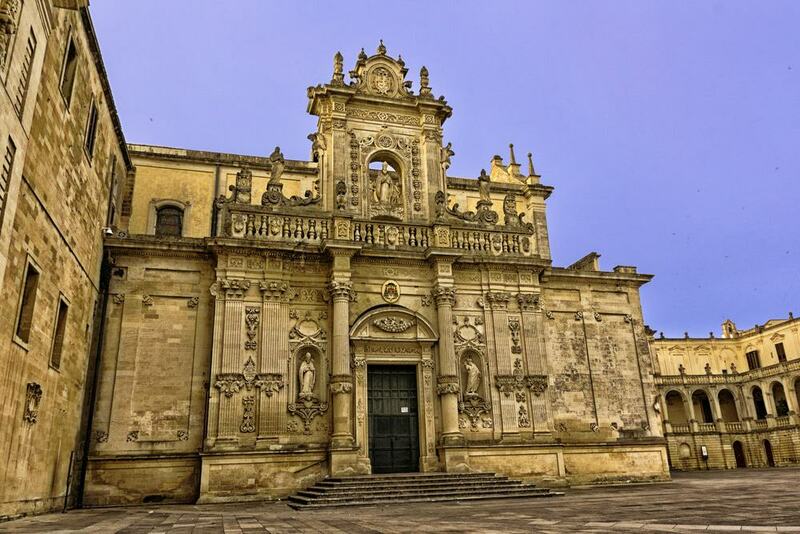 Located in the Piazza del Duomo, Lecce cathedral is on par with the Basilica di Santa Croce as the most important religious buildings in the city. Constructed in the late 17th century, this cathedral also features a Baroque design similar to the basilica and has an opulent northern façade and a beautiful bell tower. The northern façade contains some magnificent stone statues and sculptures and faces the charming cathedral square. In contrast to the Basilica di Santa Croce, the interior of the Cathedral is highly decorative and features a myriad of gold artwork, opulent arches and a ceiling that contains some gorgeous historical artwork. Furthermore there is also twelve chapels within the church, each of which is dedicated to a different saint or religious figure. 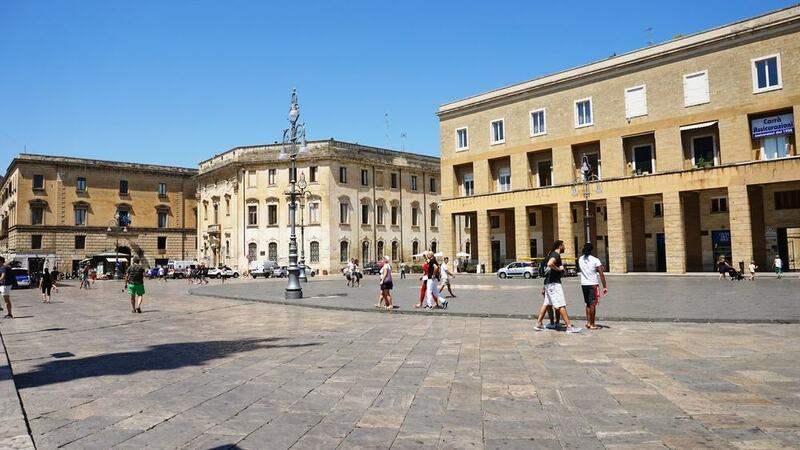 Lecce has several beautiful squares that feature some gorgeous architecture and the Piazza del Duomo is one of the most charming. 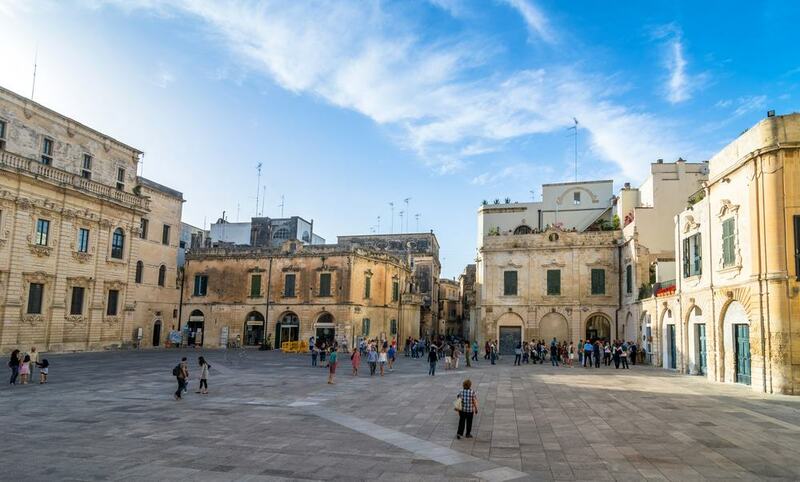 This square is located in the centre of the historic old town of Lecce and has some gorgeous monuments and religious structures. Two notable buildings include the baroque Lecce Cathedral with its intricate northern façade and the opulent library building that looks more like a palace. Most of the structures are created in Lecce stone and this really is an impressive square. Furthermore, the surrounding streets feature a series of shops and restaurants for those who want to enjoy a fine meal or a little retail therapy. A short distance further to the east from the Cathedral is the Piazza Sant’Oronzo; this is another beautiful open square with some interesting architecture and fantastic sites. Notable structures include the Chiesa di Santa maria delle Graize, the Roman Amphitheatre and the gorgeous Palazzo del Sedile. Il Sedile is possibly the most noticeable structure and features a huge glass doorway framed by some intricate stonework. The whole immediate area surrounding the square is a pleasant place to walk through and the adjacent streets are perfect to explore in the beautiful Italian weather. You can find this ancient structure in the southern part of the Piazza Sant’Oronzo. This amphitheatre was not unearthed until 1929 but it was built in the second century AD and had a capacity of 25,000. It is possible today to take tours of the theatre and see the remains of this once impressive structure. Much of the stairs, seating, external walls and columns still stand in a fantastic condition and you can really gain a great sense of the magnificence of this arena. For those who love ancient history there is no better site in Lecce to visit. The castle of Charles V is the main defensive fortification in the city and has stood for hundreds of years since the 16th century. During the reign of Charles V the castle was reinforced and strengthened and moulded into the design and style you can see today. A typical four cornered defensive structure was used with diagonal guard towers and high walls. Today the castle stands in a fantastic condition and much of the walls and towers are intact. Aside from walking through the grounds, there is also an interesting Papier-Mache Museum and seasonal exhibitions containing beautiful artwork or historical displays. Another fantastic museum in the centre of Lecce, the Faggiano Museum is a private structure that has been excavated over a course of 7 years – underneath the foundations of this building there are some fantastic archaeological finds dating back as far as 2000 years ago. During the course of the excavations, the house has been found to have served as a Templar home, a granary, and a burial site. You can now explore the excavations and find the various artefacts and structural remains of these ancient sites. Over 5000 archaeological finds are packed into this infinitely interesting museum and Luciano and his sons have turned the Faggiano Museum into something truly special. 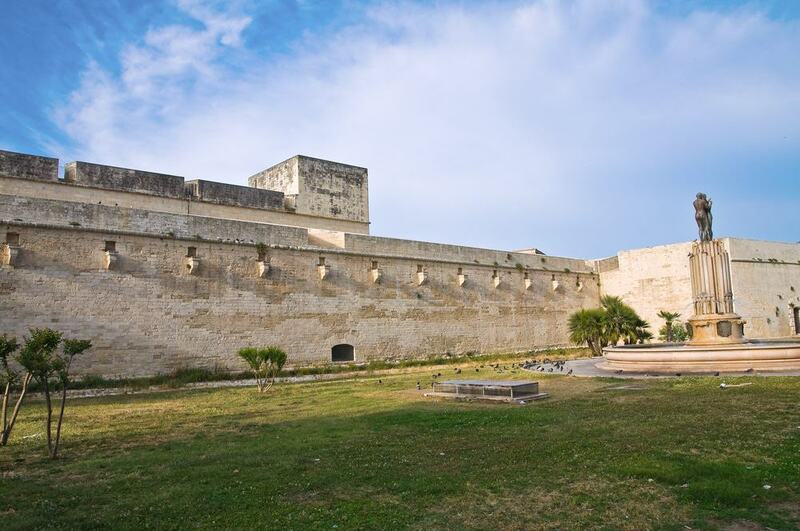 As with many historical cities in Italy, Lecce once had an impressive defensive network and encircling city wall. The Porta Napoli is a relic from this defensive network and is one of the three remaining city gates. Originally constructed in 1548 in honour of King Charles V, the portal features a Baroque design and is made from white Lecce stone. The centre of the archway features four ornate columns and is topped with a triangular pediment that features the insignia of Charles V and Lecce. This monumental gateway is a fantastic piece of history and definitely worth a visit when walking through the city centre. 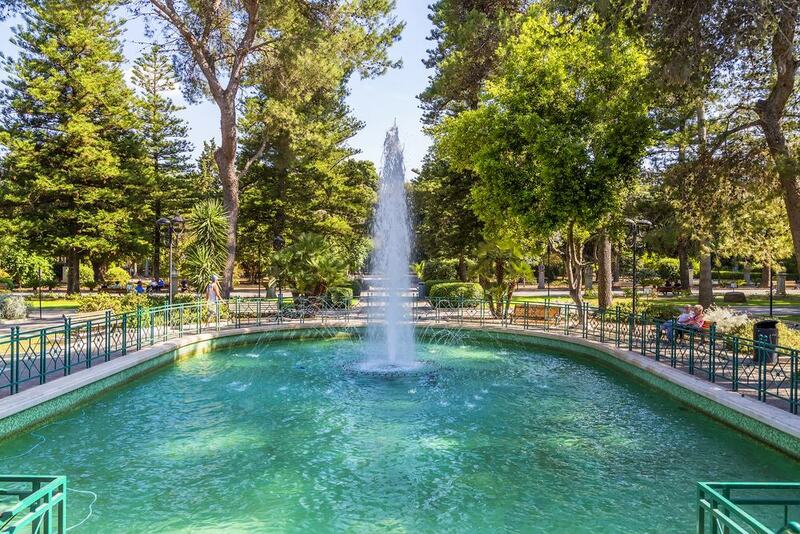 This is the most impressive public garden in Lecce and is a great place to walk through and relax on a fine summer’s day. 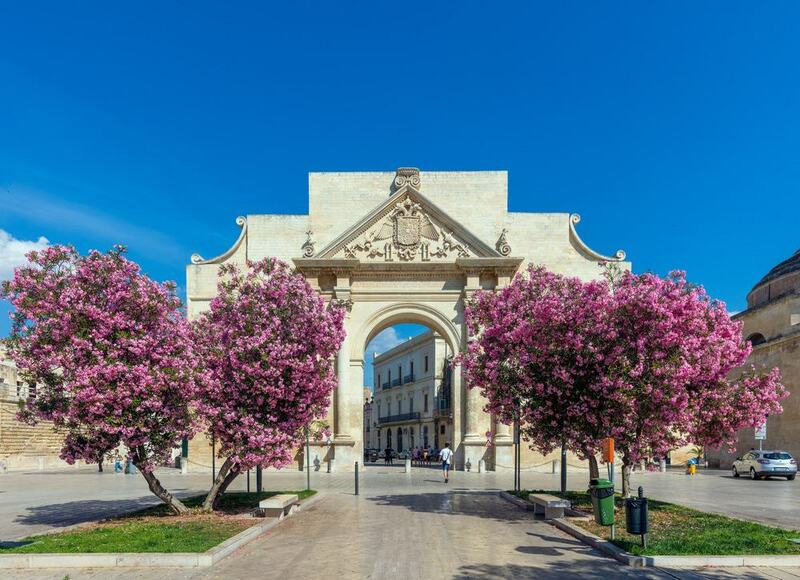 Located in the centre of Lecce, this open public space has four entrances and was constructed in the 19th century. In the centre of the park is a large bandstand surrounded by some ornate stonework. Furthermore, there is a series of grid-like paths lined with some fantastic trees, bushes and flowers. Additionally there is several delightful fountains and ponds, plus a selection of statues and monuments to various important Italian figures. Lecce is located on the dog leg of Italy and is in close proximity to several beautiful coastal towns. Otranto is just a 40 minutes’ drive to the south east of Lecce and is a great place to visit for a day trip. A main feature of this delightful coastal town is the Aragonese Castle that was constructed in the 15th century. The walls of this castle offer fantastic views of the town and the ocean and contain a great deal of history. Furthermore the harbour of Otranto is picturesque and a great place to admire the fishing boats. Finally, there is a great stretch of inviting beach perfect to sunbathe on and take a paddle in the sea. 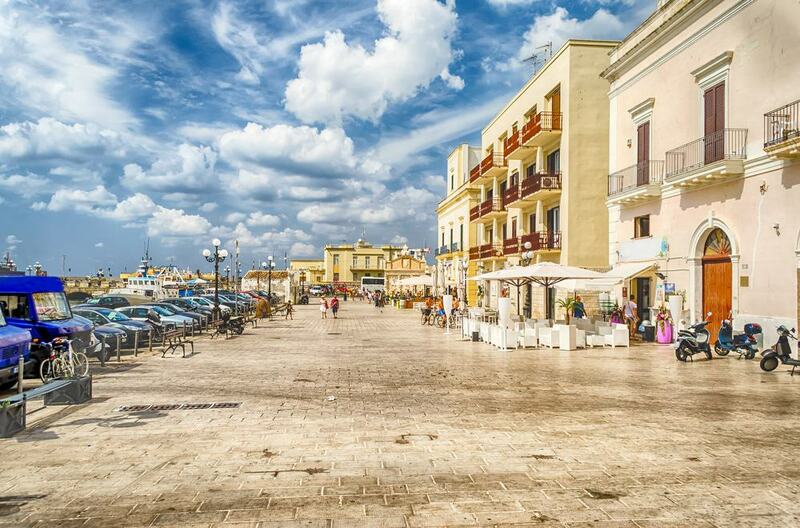 Another beautiful coastal town that is accessible from Lecce is Gallipoli. This town is split into two main sections – the main part of the town that sits on the coast, and the small island that is accessible from a single road jutting out into the sea. This small island is a fascinating place to walk through as it contains a myriad of charming side streets packed full with beautiful architecture. Furthermore, there is the stunning Baroque Cathedral of St.
Agata, the Castello and the old fishing harbour which are all interesting sites in their own right. This church is often understated and overshadowed by the Basilica and Cathedral, but it actually has one of the most interesting facades and a unique design. Created in 1667, the Chiesa di San Matteo has a Baroque architectural site and its front façade has a curved design – the wall actually curves in a sweeping arch and is covered in beautiful sculpture work and statues. Furthermore, the interior of this church has 9 spectacular altars that feature depictions of different religious figures and fables such as the nativity and the assumption. Each altar has a fantastic amount of detail and the surrounding plasterwork is highly intricate. This 15th century castle has no actually been converted into a boutique hotel but it is still possible to walk on the walls and admire the beautiful architecture and grounds. 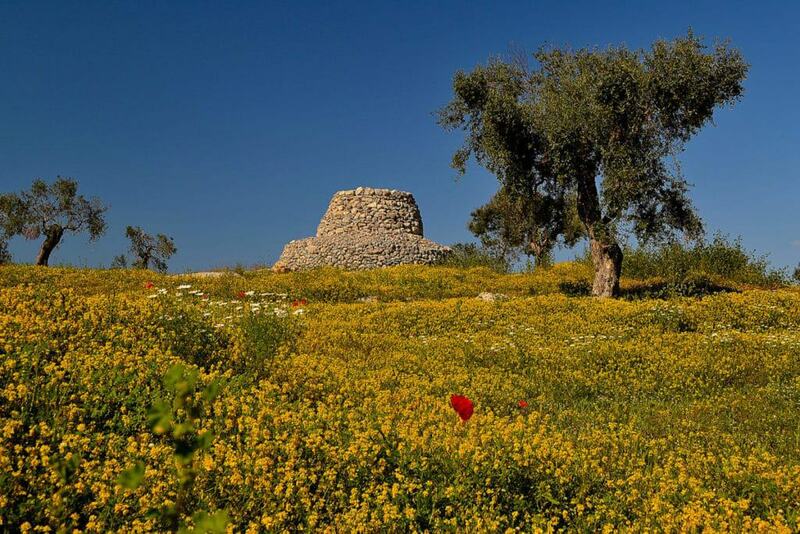 Located on the Viale Torre del Parco, this tower has stood for hundreds of years and was once an important structure in the defensive network of Lecce. The east coast of Italy is truly beautiful and the Cesine Nature Reserve is an absolutely sublime stretch of protected landscape. Only 25 minutes to the east of Lecce you can explore this beautiful natural area. Largely covered in wetlands, the reserve is one of the best preserved in Italy and features some stunning landscapes bathed in luscious greenery, low-lying pools and a diverse range of flora and fauna. Throughout the reserve you can find a myriad of well-developed footpaths that lead up to the stretches of golden sand and the warm waters of the Adriatic Sea. For those who love nature and the outdoors this is the perfect place to explore. 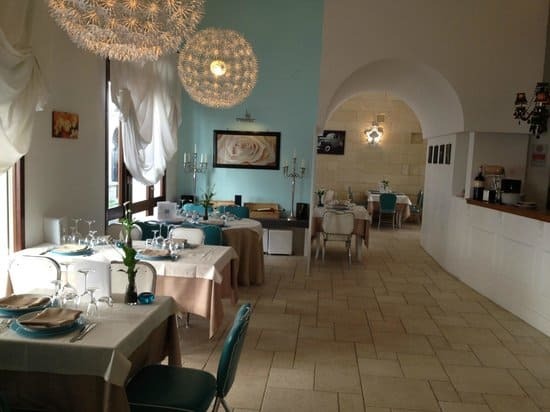 Lecce has a host of high quality restaurants and the Il Gambero Rosso is a particularly fine establishment in the heart of the historic town centre. The restaurant has a relaxed and charming atmosphere, the staff are attentive and friendly, and the dishes are produced using fresh ingredients and traditional recipes. If you love seafood, Il Gambero Rosso has a fine range of mains including prawns, shrimp and muscles. Furthermore, there is also an outdoor dining area for those who like to embrace the elements and eat in style. Consider booking a table as this restaurant is hugely popular and you may be disappointed if you turn up hopeful on the night.